Today I had the privilege to try out a new restaurant, which I didn’t have plans to go to today with my friend, however it was definitely a blessing in disguise to try something new! After all, the spontaneous choice is sometimes the greatest choice, and the visit to Sansotei Ramen is a perfect example of this! After making first, a walk to Baldwin Village to Konichiwa Restaurant (see my previous post about that!) where I initially planned on spending dinner with my company, and finding out it was closed, we both decided to walk to Yonge Street where my friend recommended this ramen restaurant, which I have not been to before! We make our way inside and take our seats. 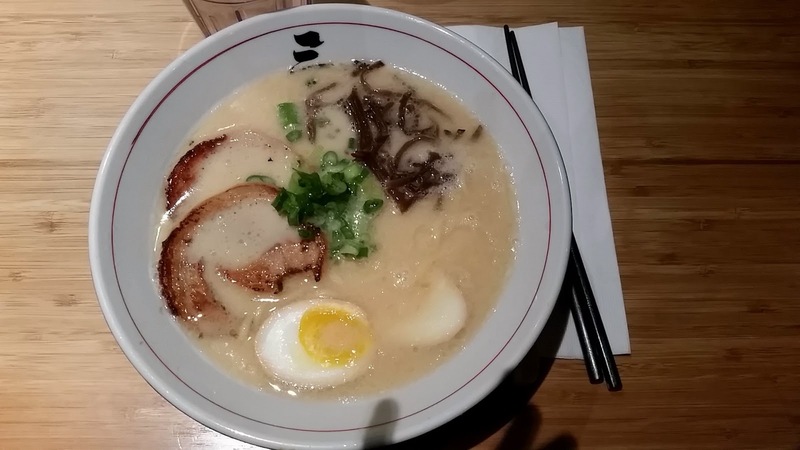 My order – I ended up trying the Tonkotsu Ramen; which was presented as the first photo on this post. This is their classic option – consisting of soft boiled egg, pork belly, green onions and black fungus with a creamy pork bone broth. This was a very good choice and the portions given were perfect! 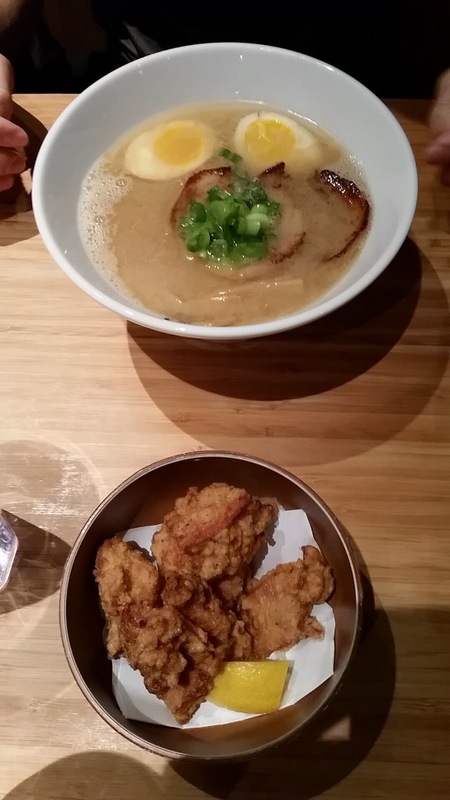 My Friend’s Order – My friend, Chris, ordered the Shoyu Ramen, which is generally a famous broth of the Japanese Ramen. It is the soy sauce based flavored ramen which is topped off with pork belly, soft boiled egg, bamboo shoots and green onion. Also on my friend’s side of the table was Chicken Karaage, or Zangi made Hokkaido style. This added nicely to our noodle soups and was very tasty indeed. 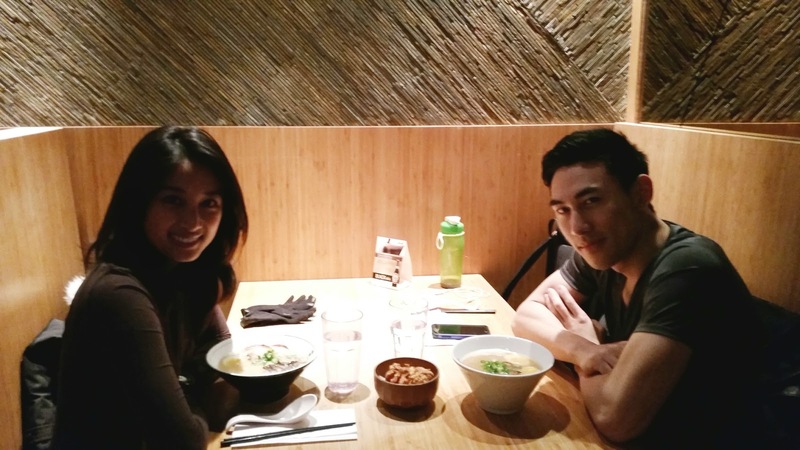 Overall, a dinner out with company at the Sansotei Ramen Restaurant is a must if you are in the downtown core. It’s a great intimate setting to catch up with friends, gives great food, and all for a very reasonable price.